Resin 1955 Thunderbird Fairbird by Mason City Miniatures MCM. The Fairbird Thunderbird kit is a faithful reproduction of what almost was. 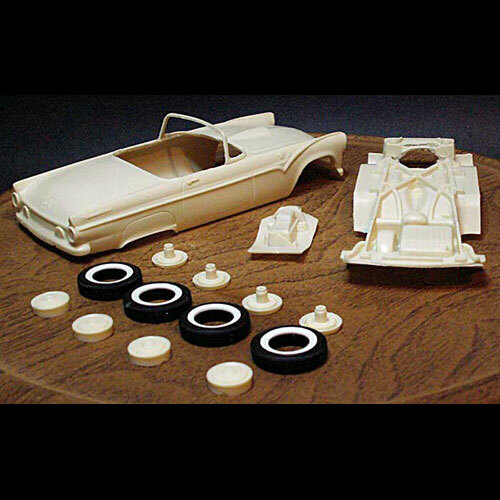 It includes a set of two piece Firestone type whitewall tires, clear and translucent red lenses, a vacuum cast windshield, and everything else you need to finish this great model except for the axles, shift lever and paint of your choice. 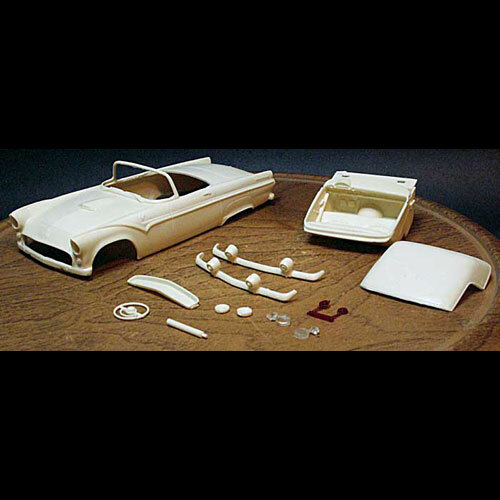 This resin model / body may require a Ford model kit for donor parts to detail.